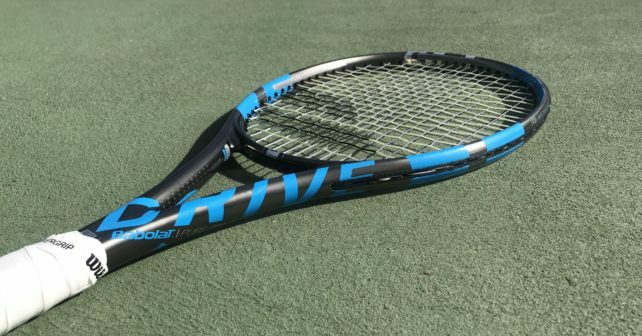 Babolat Pure Drive VS Racquet Review - What does the new VS play like? 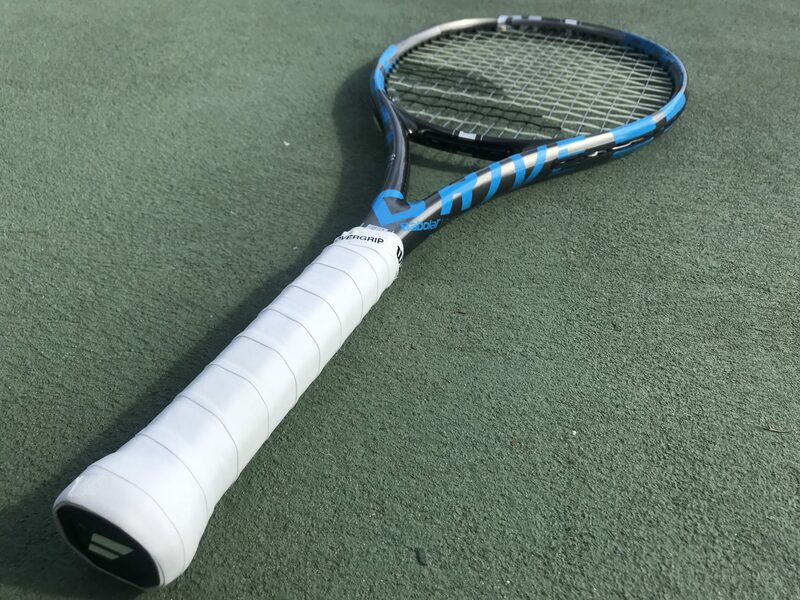 It is a racquet a lot of people have been asking about…here is my Babolat Pure Drive VS racquet review. The Babolat Pure Drive VS is a 98 sq inch, more control-oriented, yet powerful racquet that lands really close to the Pure Strike in performance. Is there really a need for the Babolat Pure Drive VS? After all, the Pure Strike is also 98 sq inches, has a 16×19 string pattern and weighs around 300 grams. What does the Babolat Pure Drive VS bring to the table that is not already there? Well, to be honest, not a whole lot. I don’t want to start this Babolat Pure Drive VS racquet review in a negative way, but I think they could have done a bit more with the specs. Since this racquet is only sold in matched pairs, which aims it towards more advanced players from the start, I think they should have bumped up the weight a bit of this racquet. Because it is close to the Pure Strike in weight, balance, beam width and string pattern, but in the end the Pure Strike feels slightly more stable, probably due to the extra grams in the hoop. If I was the Babolat racquet consultant, I would have suggested a weight of 310 grams unstrung instead and a strung balance of 33 cm. This would have created a more reasonable swing weight, a more stable racquet and still maintained a relatively fast feel. So I’m not sure why the kept the weight as low as they did because without customization the racquet feels a bit too unstable. As you can see the racquet as a pretty high stiffness. I must say however that the Cortex Pure Feel seems to take care of the vibrations pretty well. I did not sense any discomfort while playing with the Pure Drive VS, both strung with a gut/poly hybrid and a full bed of Babolat RPM Blast Rough (Red) at 24 kg. I did, however, find that the racquet did need lead tape pretty badly, as it felt a bit anemic in the hoop. Once I had added about 6 grams and counterbalanced in the handle, the racquet performed much better. What can be expected from the string bed then? Spin, spin, spin? Not really. It is quite a controlled string bed with a lower launch angle than I had anticipated. It offers a bit less spin than the Pure Strike I believe and plays a bit more like an 18×20. This will work out nicely for some players but come as a surprise to others since the regular Pure Drive (read my review here) has become such a spin monster. Once I added some weight to it, the racquet played more stable and offered a nice compromise between power and control. It is definitely a powerful racquet, close to a Pure Strike, but with the lower launch angle, it does offer decent control from the string bed. It was a bit confusing at first to find my range with it. Was I going to go for loopy spin or play more like an aggressive flat hitter (Six One 95 style)? In the end, I think it really is a weapon for the aggressive baseliner. It is definitely faster through the air than the regular Pure Drive and Pure Aero, so you can really attack the ball with heavy flat shots. So it is a racquet for players who like to hit winners from the baseline. I did not feel as comfortable at the net for some reason. It did not have a great feel on touch shots and at times I felt a bit disconnected from the string bed. I couldn’t quite make up my mind on what I felt about this racquet. The first couple of hours it played great, then I struggled a bit finding my range, then I found it again, but still felt something was lacking. I just could not feel entirely confident with this stick, despite customizing it to my kind of spec (340 grams, 32,3 cm balance approx). It was nice and fast on serve, but not an ace machine like the Pure Drive. It is the kind of racquet where you really aim for 1-2-3 combinations. Serve out wide, open up the court, go for the open forehand winner. That is the Pure Drive VS in a nutshell. And it does those things pretty well. I played some good tennis with the Babolat Pure Drive VS . I can see why people like it. It is a fast and powerful racquet with a really nice design. But I did not feel enough connection to the ball to be more positive about it. I think some people might find this is a perfect racquet for their style, while others might have similar issues with it. 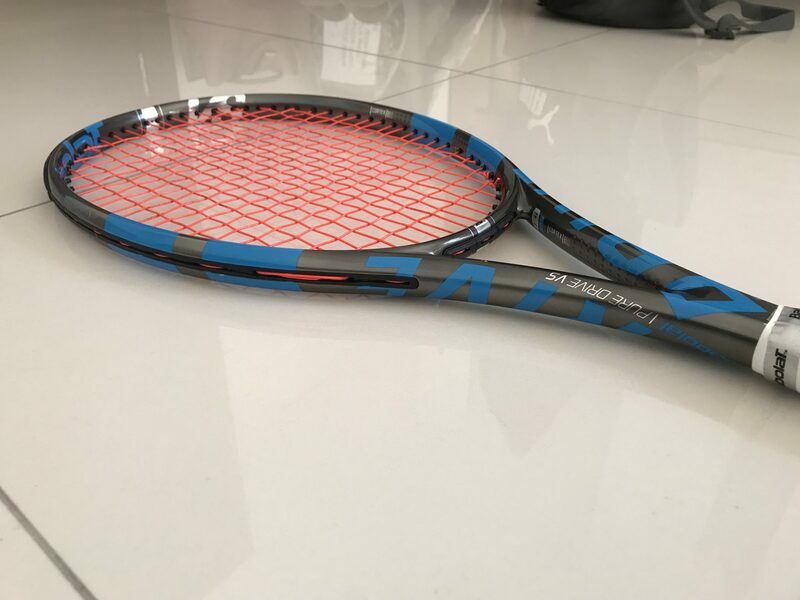 Definitely a racquet you should demo because it is quite fun to play with, but since you need to buy two at one go, it is definitely something you will need to think twice about. I would like this to the launch of the first Pure Strike (red/black). Good idea, but somewhat lacking in the execution. If they can reduce the stiffness a bit (work on the feel), bump up the static weight and perhaps give you an option to buy only one racquet, I think the second generation of the Pure Drive VS could be a real winner. But as it is now, it is not entirely convincing. What do you think of the Babolat Pure Drive VS? Are you curious to try it? Did you have a different experience what I outline above? Please comment below. I hope you can help me a bit. I’ve been playing a head youtek instinct mp for a while and looking for a new racket. I tested Wilson Blade 104, Burn 100 CV but I did not feel good with both. I am 31 years playing 2-3 weeks on sand. Thank you for your feedback. What racket would you compare the Pure Drive VS to, with both Babolat rackets and with other brands? Did you ever try a Pure Control? The 16 x 20 pattern and 62 RA stiffness combined with low static weight seem intriguing (and ripe for customization). Seems like an option to the Tecnifibre TFight 305 XTC, at least spec-wise (pushing up the SW with lead, of course). Yes, I like the Pure Control. I actually have a Pure Control Original first edition at home that plays like an absolute beast at 33 grams unstrung and 32 cm head light balance. The Pure Control is a bit softer than the XTC 305. The XTC is a crisper, more powerful, modern racquet while the Pure Control brings back some of that old school feel and performance.